COLUMBUS — An Ohio-based conservative group plans to host candidates for governor at a candidate forum this fall. Citizens for Community Values, based in suburban Cincinnati, says both Republican and Democratic candidates have been invited to the Oct. 8 event. The four GOP candidates — Attorney General Mike DeWine, Secretary of State Jon Husted, Lt. Gov. Mary Taylor and U.S. Rep. Jim Renacci — have confirmed. Democrats plan their own series of debates across the state beginning Sept. 12. The values group forum will feature 15- to 20-minute individual interviews where candidates can discuss their visions for the state, their faith and various issue positions. The host will be Frank Luntz, a Fox News analyst and best-selling author. COLUMBUS — State officials say Ohio’s unemployment rate rose in July from the previous month and remains higher than the U.S. rate, which fell last month. The state unemployment rate rose from 5 percent in June to 5.2 percent last month. Ohio’s unemployment rate in July 2016 was 4.9 percent. 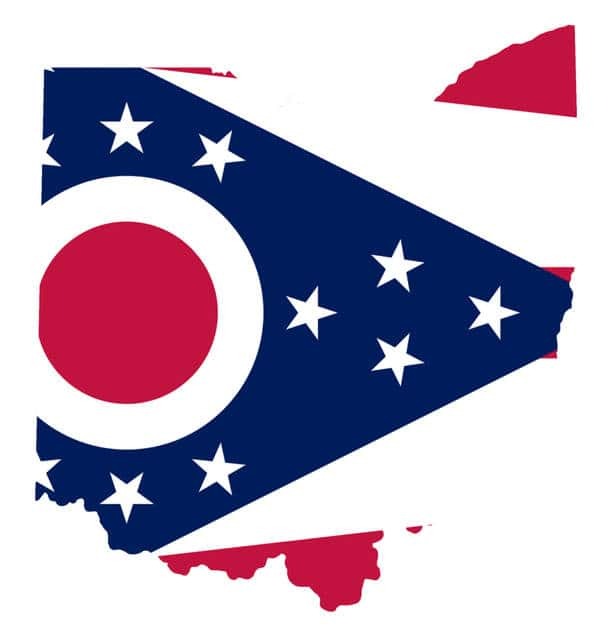 The state Department of Job and Family Services says Ohio’s nonagricultural wage and salary employment increased by 1,600 from June to July. COLUMBUS — Ohio’s state auditor says a village’s former mayor has been convicted of theft in office. Auditor Dave Yost said Thursday that former Mount Sterling Mayor Charles Neff was found guilty Wednesday in Madison County of falsification and dereliction of duty. The auditor’s statement says an investigation found Neff approved excessive payouts for employee sick time and vacation pay that weren’t allowed or hadn’t been earned. Authorities also said Neff failed to credit 25 percent of village income tax revenue to the village’s capital improvement fund as required by village ordinance. Neff’s attorney, Scott Mergenthaler, said Neff maintains his innocence. He says Neff was manipulated by a former village administrator now serving a 10-year prison sentence for stealing village funds. DAYTON — Montgomery County will pay $375,000 to settle a lawsuit filed by a woman who was pepper-sprayed by a corrections officer while strapped to restraint chair. The Dayton Daily News reports 25-year-old Amber Swink sued Montgomery County in September 2016 for civil rights violations. The settlement was reached Wednesday. Swink was jailed in November 2015 after being accused of assaulting a police officer. She pleaded guilty and was sent to an in-patient treatment facility in April after failing to comply with court orders. The corrections officer was a sergeant in 2015 who has since been promoted to captain. The incident prompted a federal civil rights investigation. A grand jury declined to indict the corrections officer on felony charges. A Dayton city prosecutor says misdemeanor charges are possible. JEFFERSON — A school district in Ohio has canceled classes on Monday over concerns about students damaging their eyes while looking at the solar eclipse. The superintendent of Jefferson Area Local Schools said Thursday that the eclipse could pose a risk to students who view it even inadvertently while at school or on the bus ride home. The day will be used as a service day for faculty and staff. The area will see a partial solar eclipse from about 1 p.m. to 4 p.m. Monday. LORAIN — Authorities have identified dismembered human remains found in a trash bin in northeast Ohio after a 30-year-old man confessed to killing and dismembering a man before he killed himself. Cleveland.com reports Lorain County’s coroner said Thursday that the remains found in Lorain were those of 50-year-old Daniel Sloane, of Cleveland. The coroner ruled Sloane’s death a homicide, but said the exact cause couldn’t be determined. Investigators have said Sloane was killed July 1. They said Hector Diaz told his girlfriend that he had shot and killed a landscaper and planned to kill himself. Sloane owned a landscaping company. Diaz fatally shot himself on July 2 as he was confronted by a SWAT team in Lorain, roughly 25 miles west of Cleveland. Police haven’t commented on a motive. ATHENS — Ohio University will allow beer sales during football games starting this season. The Columbus Dispatch reports school officials announced the new policy this week. Officials say the decision comes after feedback from customer surveys. The state’s Division of Liquor Control must issue a permit before suds can flow at Peden Stadium during Bobcat home games. Beer won’t be sold on the student side of the stadium, but that won’t prohibit students from taking beer to their seats. Beer has been sold the previous three seasons in areas exclusive to university donors. The school will add an alcohol-free zone for fans. Ohio’s five other Mid-American Conference schools sell beer during football games. Ohio State University raised $1.1 million after it began selling beer throughout Ohio Stadium last season.